During the first month of his dental education in September 2015, Michael Herman was dealt a tragedy equivalent to a nightmare. His brother, Sean, overdosed on heroin, dying at the young age of 27. On the same day, he lost his grandmother to a heart attack. He took one week off of school to grieve, but remained focused on his goals knowing they both would want that for him. 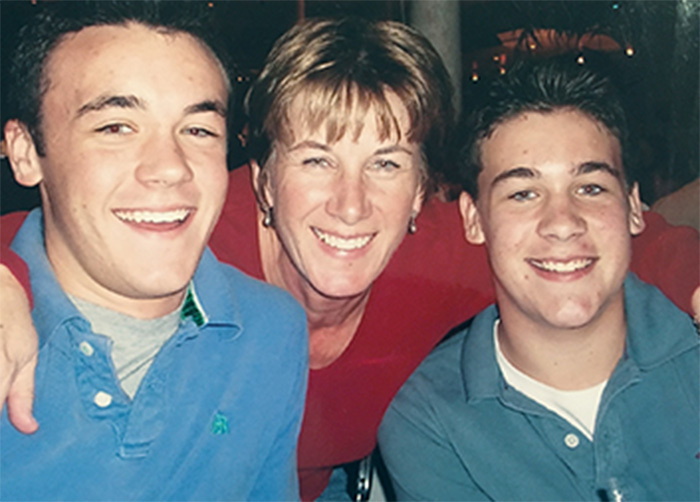 His mother, Dr. Sharon Parsons, also a dentist, has become an activist to change prescribing habits and give a voice to people suffering from addiction. Her story has been shared nationally. Michael, now a third-year dental student, was also recently highlighted, sharing his motivation to keep moving in a recent interview with the American Dental Association. Alumni Day 2018: a time for learning, networking and fun! What does a Navy pilot have in common with a dentist? Estelle got a new smile. And the job! Sign-up to send Impressions to your inbox!